If you were injured in Miami Lakes, you should consult with a Miami Lakes injury attorney to protect your rights. Be it a car accident, slip and fall or some other type of avoidable accident, you will need guidance and advice on how to proceed forward. At the precise moment of an accident, your life is changed. If you are to get justice, then you will need help. In a perfect world, people would be responsible for their actions. If someone caused a car accident or a slip and fall, then they would take care of the medical bills and lost wages. They would step up and admit fault. But we do not live in a perfect world. Not only is it human nature to avoid taking responsibility then you have the personal injury industry. The personal injury industry is filled with insurance companies, defense lawyers and other professionals. The goal of these people is to pay as little as possible or to pay nothing at all. There is no concern for your pain and suffering. It is all about the bottom line of profits and losses. Most insurance companies will say that they will pay what they owe and not one penny more. But in reality, most follow the old adage of “delay, deny and don’t pay”. That is precisely the reason why you need someone on your side. If you were injured in Miami Lakes, you need to call a Miami Lakes personal injury lawyer as soon as possible. 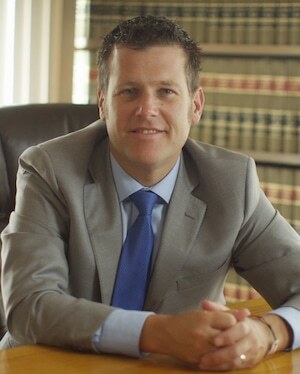 At the Wolfson Law Firm, our Miami Lakes personal injury attorneys can help you. We have been assisting the people of Florida since 1963. Review our qualifications and recent results. Interview us and allow us the opportunity to answer your questions. Let us prove to you why will be the best Miami Lakes personal injury lawyer for you and your family. Call now for your free consultation at (305) 285-1115. A Miami-Dade suburb, Miami Lakes is in the northwest quadrant of Miami Dade County. It has an estimated population of 30,000 people. Miami Lakes is comprised of 91% of that population being white (including Hispanics) 3% African American, and 8% Latino. Formally owned by Florida State Senator Ernest Graham, Miami Lakes construction was begun in 1962. It has been a30 year development that is still going on to this day. Originally planned by Lester Collins to have curving tree-shaped roadways and various lakes. It was preplanned, having regular neighborhood shopping centers, tot-lot parks, and a town center on the main street. Most of these are within walking distance of residences in Miami Lakes. 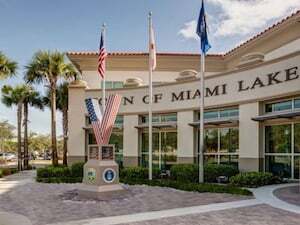 Miami Lakes is known as the youngest cities in the county, having become the 31st municipality in the county. Although the land was formerly owned by Graham, much of the area and buildings is still owned by the family, including the undeveloped land that remains. Senator Bob Graham also hails from the same Graham family. His career in public service was highlighted by his service as the 38th Governor of Florida and multiple terms as a US Senator. If you have lost a member of your family in a tragic accident, the Miami Lakes wrongful death lawyers at the Wolfson Law Firm can help you. Our Miami Lakes accident attorneys can assist you and your family if you were damaged due of the negligent or intentional acts of another individual or corporation. We have a bilingual serious injury legal team serving Miami Lakes. Our Managing Attorney Jonah Wolfson is a bilingual wrongful death attorney and personal injury lawyer serving in Miami Lakes Florida. Call us at (305) 285-1115 for your free and confidential consultation. Our Miami personal injury lawyers are here to help the residents of Miami Lakes as well as the surrounding communities of Doral, Hialeah, Miami Springs, Aventura, Hialeah Gardens, Medley, Opa Locka, Miami Gardens and Fontainebleau.